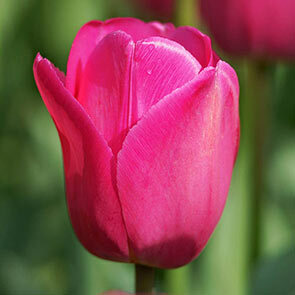 Fall in love with these enormous, flirtatious pink tulips. 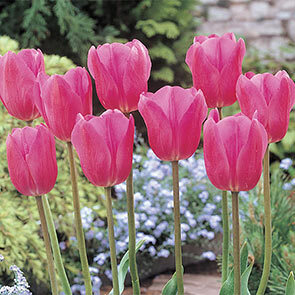 Blossoms measure up to 5" in size and top strong 18–20" stems. Long-lasting blooms create a dramatic display in a border or mass planting. As cut flowers, they make exquisite bouquets.